Geodis Wilson, one of the world’s leading freight management companies, has been awarded Logistics Management’s “2014 Quest for Quality Award”, earning the award for their achievement in the 3rd Party Logistics (Value Added Warehousing & Distribution) category. For over 30 years Logistics Management has surveyed its readers, asking them to evaluate the transportation service providers that they do business with, rating each company for Customer Service/Value Added Services; Order Fulfilment; Transportation/Distribution; Inventory Management and Logistics Information Systems. This year, 7,451 readers offered their valuable insight and helped Logistics Management maintain the Quest for Quality as the premier benchmark study of logistics and transportation service excellence. For Geodis Wilson, this is an important achievement witnessing that the company is operating with the common vision of being the growth partner for the clients. Geodis Wilson is a leading, global freight management company. With around 9,000 employees in 61 countries the company delivers tailor-made, integrated logistics solutions to customers enabling them to operate as ‘best in class.’ Geodis Wilson – with a revenue of 2,67 bn € in 2013 – is the freight forwarding arm of Geodis Group which became part of the French rail and freight group SNCF in 2008. SNCF Geodis ranks among the top 7 companies in its field in the world. The Shipowners’ Club marked the conclusion of Donald MacLeod’s six year tenure as Chairman with a Board meeting in his home town of Halifax, Nova Scotia, as well as a reception there for local Members and brokers. Philip Orme was appointed to succeed him as Chairman and expressed the Board’s appreciation of his successful oversight of the Club’s affairs during a particularly challenging period of its history with upheaval in the financial markets and prolonged difficulties in shipping markets. 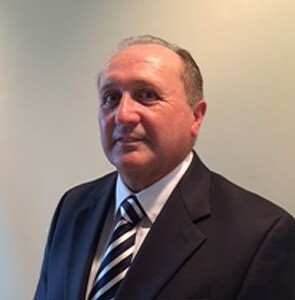 Having been based in the UAE for many years, Philip was Managing Director of the Club’s longstanding Member Lamnalco when he was appointed to the Club Board in December 2005, the year that the Club celebrated its 150th anniversary. He is now CEO of Ocean Power International Limited, a company which owns and operates offshore vessels throughout the Middle East. A qualified accountant, he has served as Chairman of the Finance Committee since July 2008 as well as Vice-Chairman of the Club. The Shipowners’ Club is a mutual marine liability insurer, providing Protection & Indemnity insurance to small and specialist vessels since 1855. The Club currently insures over 33,000 vessels from more than 6,200 Members worldwide and is a member of the International Group of P&I Clubs. The Club has branches in London and Singapore. Green footprints on the floor of the spoga+gafa hall – has someone stepped in a can of paint during preparations for the trade fair? No, the footprints at the entrance to Hall 6.1 at the Cologne DIY and Garden Fair lead directly to the Dachser stand, where trade visitors can use stickers to leave “footprints” of their own. It’s all in a good cause, because Dachser will be planting a tree for each footprint. The logistics provider is cooperating with the “We plant trees” initiative of the German DIY, Construction and Garden Industry Trade Association, BHB e.V. “How can you calculate the exact CO2 emission of a shipment, reduce it wherever possible and, at the same time, support customers in the DIY and garden industry in their logistics-intensive, global growth? Those are only a few of the questions that suppliers of logistics services are currently facing,” explains Ralf Meistes, Department Head DIY-Logistics at Dachser. As Europe’s leading provider of groupage logistics, Dachser uses a computer tool to calculate the ecological footprint of a shipment. The program is automated and makes its calculations based on real transport data, such as loading capacity, vehicle type and distance actually covered. This system complies with both European standard EN16258 and French law (Decree 1336) on carbon emissions reporting requirements. In addition, Dachser has implemented a whole series of measures for reducing the environmental footprint of transport and storage as much as possible. In its fully integrated logistics network, Dachser collects goods from their producers, stores them when required, delivers them by truck to construction and garden supply stores and, where needed, actually puts them on the shelves. The goods flow continuously as required through the Dachser DIY supply pipeline, from supplier to point-of-sale and occasionally back again. As a result, all products are available on the market at all times and are never out of stock. In addition, Dachser also takes care of direct delivery to the end user of large and/or heavy goods from the DIY and garden inventory and thus supports the creation of multichannel distribution structures for customers in industry and trade. Dachser’s internationally structured DIY Logistics solution provides its know-how to the DIY and garden supply industries. After all, the logistics firm delivers goods daily in a fixed timeframe to all 18,000 DIY and garden supply stores in Europe. The SynLOG consolidation concept reduces ramp contacts, and Quality Control in the Far East completes the concept. Dachser DIY logistics cooperates with the BHB industry association, the Haus & Garten manufacturers’ association, the IVG (garden industry association), the Global Home Improvement Network (GHIN), and GreenNet. Dachser provides comprehensive transport logistics, warehousing, and customer-specific services in three business fields: Dachser European Logistics, Dachser Food Logistics, and Dachser Air & Sea Logistics. Comprehensive and multi-disciplinary services, such as contract logistics, consulting and advisory services, and industry-specific solutions round out the company’s offerings. A seamless transport network—both in Europe and overseas—and information technology that is fully integrated into all its systems provide intelligent logistics solutions worldwide. With a staff of 25,000 employees in 42 countries at 471 locations in 42 countries, in 2013, Dachser generated revenue of nearly EUR 5 billion and handled 70 million shipments.